Tomorrow morning I will be buying $3040 of SYK. SYK is an extremely steady and consistent medical devices maker. 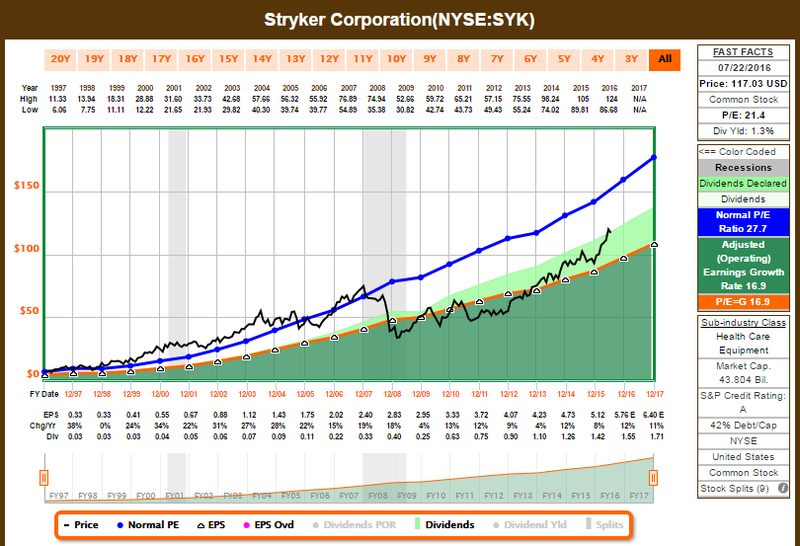 Take a look at Stryker's earnings history in the graphs below. In the past they have paid dividends once a year. They have recently paid dividends quarterly. Overall, they have increased dividends to shareholders every year. Healthcare medical devices makers are one of my favorite industries. Their industry has consistent earnings and will improve as the aging American population starts visiting the hospitals more. People will pay for medical care even during harsh economic times. Below I include pictures of Stryker's earnings history (blue line with its average P/E multiple). It is anti-cyclical. It performs extremely well even during recessionary environments. SYK has had a low PE cycle after the great recession and has only recently started PE expanding back to its original levels. SYK is still a small company and has room to grow. They have an "A" credit rating from S&P, an A++ financial strength from Value Line, and a 1 in safety by Value Line. The second graph below shows the earnings history relative to what analysts expected. The results indicate that Stryker is extremely predictable and the earnings are steadily growing. That is my type of business! I have today sold my AAPL stake. I have made 6.6% on that holding of $2200. I have also sold CVX. I had a $2400 stake in CVX and I lost 7% in that. That $4600 was basically idle for 2 years. Both are great companies but sadly I have to let them go for companies that better fit my investment philosophy, which is consistent non-cyclical dividends and earning increases. I am selling Apple since I want higher yield and I want to minimize my speculative positions as the S&P500 climbs higher. I purchased Apple a bit over two years ago and did not hold it as a dividend growth investment but as a speculative capital gains pick. Right now, the only remaining speculative positions are ROST, TJX, and SBUX. These positions emphasize capital gains over dividends. I am quite sure Apple will be able to survive in the future, but their reliance on one product for earnings makes me uneasy. I sold CVX since I want a dividend payer that is less cyclical and is capable of increasing dividends year after year. So far I have been very happy with Exxon. I have been burned on COP and KMI. I have nearly broken even with my holding in CVX and decided to purchase something less dependent on the price of oil. I will likely look for a utility with a yield similar to CVX's 4%. I am considering Southern (SO). In total I will pay $7 for each of the two sales and $1 for the Stryker buy. Love this purchase YD. SYK has a great history and I really love all thinks healthcare. 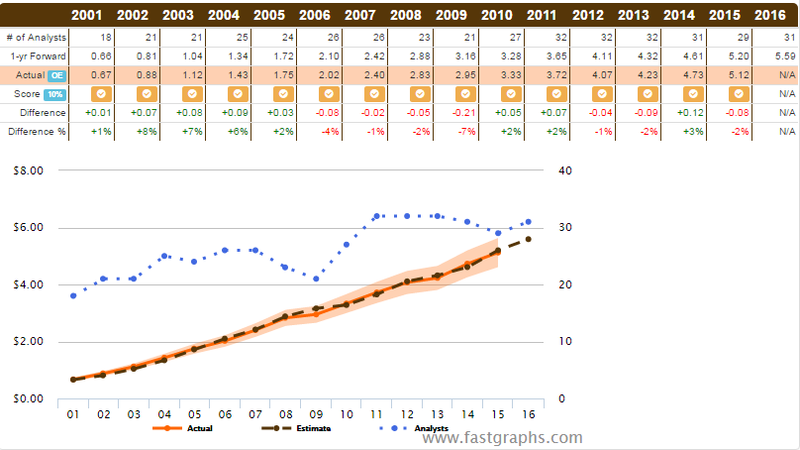 I wish the starting yield was a bit higher but dividend growth and total return should be solid with SYK. I should have added years ago when the valuation was better because this company is solid. I'm a bit jealous that you own some before me. The yield is indeed low, so I am trying to boost the "average yield" up by buying into some AT&T or Southern.